Brentford will be more "tactical" and "measured" under new boss Marinus Dijkhuizen than they were last season, according to centre-back Harlee Dean. The Bees finished fifth under Mark Warburton last season to reach the play-offs, but let in 59 league goals. "As a centre-back I'm going to get more protection, which I didn't get at all last year," he told BBC London 94.9. "It's going to be a different style of play. It'll suit us more - we'll be more calm, tactical and measured." 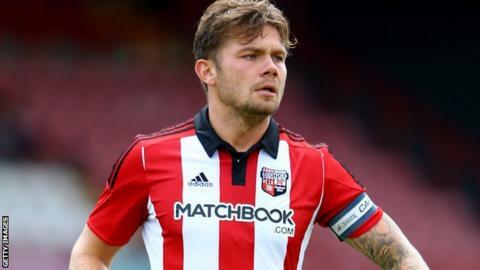 Dean, who has captained the Bees in some of their pre-season friendlies, added: "I really like the manager's ideas and I think we can be optimistic that as the season goes on it will get better and better." The 24-year-old made 40 appearances last season, including 37 in the league and play-offs. "Last year it felt like the manager already had his opinions but this year it's a clean slate," said Dean.